We provide physiotherapy to all young people who have a Bolton GP. This service is for both musculo-skeletal and neuro-developmental issues. Pure Innovations are commissioned by Bolton MBC to provide 1:1 independent travel training to young people.All training is delivered in real time and is personalised around the needs of the young person.Trainers are all DBS checked and have a wealth of experience working with additional needs. We provide an occupational therapy service to children from birth to18 years of age. This includes assessment, advice, therapeutic programmes and specialist equipment.We work together with children, parents, carersand other professionals in order to facilitate the child or young person to reach their developmental potential and functional independence. Intervention is provided in a variety of settings including clinics, home/respite careand within education settings. I offer basic leatherwork craft sessions for children and young people. Each session will consist of the child making one of the following items, a keyring, wrist band or book mark. All tools,resources etc are provided,only the participants imagination is required to produce a unique item they will be proud to be associated with. This activity can be tailored to anyone with a disability. Help and support will be given to aid all users to reach their potential. The Speech and Language Therapy Service willassess, diagnose and develop an individualised programme of care to maximise the communication potential of the children and young people referred to them and under their care. The work involves direct contact with children and young people with communication difficulties as well as their carers and other key people in their lives. Therapists also support children and young people with swallowing, eating and drinking difficulties. 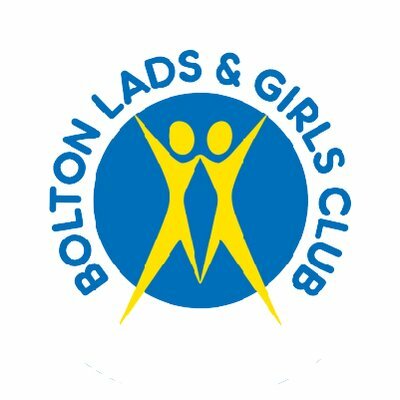 Bolton Lads & Girls Club is the biggest youth centre in the UK and is based in Bolton town centre. The Club is open 7 days-a-week, 52 weeks-a-year and welcomes all young people aged 8-21 years old. As well as the basic 7 nights-a-week youth club service, the Club also provides dozens of other projects for the town’s young people; The Mentoring Project, Sport, Pathways 2 Success, Residentials, Outreach & School Holiday Project to name just a few. Do you want to make a difference?